WASHINGTON (Reuters) – Saudi Arabia’s new crown prince and likely next king shares U.S. President Donald Trump’s hawkish view of Iran, but a more confrontational approach toward Tehran carries a risk of escalation in an unstable region, current and former U.S. officials said. In the early hours of Wednesday, Saudi Arabia’s King Salman elevated his 31-year-old son to be the kingdom’s crown prince, replacing the king’s 57-year-old nephew, Mohammed bin Nayef. 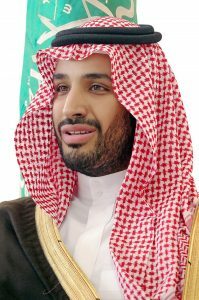 The formal ascension of Mohammed bin Salman establishes the young royal as the most important political figure in the country, given the widespread suggestions that his father is ailing and infirm. Trump has been a Saudi cheerleader since entering office, which is welcome news in Riyadh after the latter years of the Obama administration. Relations reached a low ebb then as Washington pursued diplomacy with Iran and seemed to cool on the long-standing Saudi alliance. At home, Mohammed bin Salman has championed the need for change to shake up the country’s oil-dependent economy — as well as a broader liberalization of what remains one of the world’s most rigidly conservative societies. “I’m young. Seventy percent of our citizens are young,” Mohammed bin Salman said in an interview with The Washington Post’s David Ignatius this year, during which he seemed to lament the excesses of the regime’s religious police and the advent of extreme religious conservatism in recent decades. It is likely that Saudi Crown Prince Mohammed bin Salman and US President Donald Trump will take actions that Iran will not like. Donald Trump voiced support of the new Saudi Crown Prince and wants to work with him. The above verses indicate that the King of the South is more likely to be an Egyptian. But since Egyptians have traveled to various areas, it is possible that Mohammed bin Salman has some Egyptian heritage–though my search today on that did not find any. For more scriptures pointing to why the King of the South is likely to be Egyptian are found in the article Is the Future King of the South Rising Up? But getting back to the news articles at the beginning, what about Iran? Iran does not like what is happening between the USA and Saudi Arabia. Iran does not want Saudi Arabia to get more weapons–and the USA agreed to sell Saudi Arabia a lot of them when Donald Trump visited that nation last month (see Largest single arms deal in US history! Is Donald Trump arming part of the King of the South?). Neither Saudi Arabia nor Donald Trump like the Iran nuclear deal that the Obama Administration agreed to. Donald Trump has stated that he wants to tear up or renegotiate the agreement. And if he concludes that Iran has sufficiently violated it, he may well try to reimpose sanctions or take other actions. Iran and Donald Trump have issues with each other (e.g. Iran defiant against USA and announces dropping dollar). Since Iran is basically straight east of Jerusalem, it is NOT the prophesied King of the South. Because it is not, I have long considered that Iran’s influence will be tapered or neutralized, which will help lead to the King of the South’s rise. Iran is committed to its religious agenda. An agenda that pushes Shia, as opposed to Sunni, Islam. Saudi Arabia is committed to Sunni Islam and that is one of the major conflicts it has with Iran. Bible prophecy indicated that Iran may one day attack the tiny nation of Israel–and that may not end up well for Israel Isaiah 22:1-14, nor itself (Jeremiah 49:34-38). It seems likely that a regional conflict involving Iran, Syria, and/or Israel, and possibly with involvement from Saudi Arabia may occur before the prophesied peace deal of Daniel 9:27 (see also The ‘Peace Deal’ of Daniel 9:27). The appointment of the new crown prince will somehow align with various biblical prophecies as in a sense, he and Donald Trump may ‘stir the pot’ in that region of the world. This entry was posted on Thursday, June 22nd, 2017 at 6:00 am	and is filed under Prophecy. Are things fine in Saudi Arabia? Or might there be a coup?